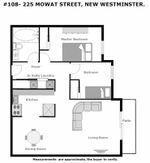 The best choice for first time buyer or investor.The bright and spacious (833 sq ft) 2 bedroom + 1 parking(#20)+ 1 locker(#20) apartment (above street level) with a private patio lawns & gardens view back of the building. East facing. Big separate kitchen. Living room is opening out to green space & flowering garden. Added bonus-direct access to the unit from the parking. In suite laundry. Mirror closet doors. Heat and hot water included in maintenance fee. Pets friendly complex -one cat or one dog is allowed. Up to 10 units for rent ( now 6 are rented). The building has a siding repair/paint 2017. Neighborhood is safe and quiet. 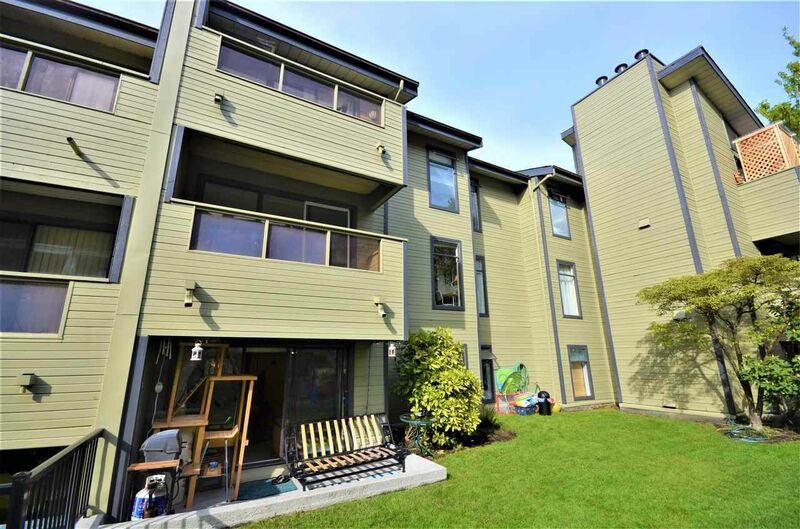 Close to Skytrain, shopping, recreation.The 1st showing will be at the time of Open House SAT, May 12th, 2018, 2-4pm. Sun, May 13th 5-5:30 pm.The offers (if any) will be presented by the listing agent on Tuesday, May 15th, 2018, after 6pm.